This is the start of our first real summer long weekend here in North America where we’re celebrating two national holidays. 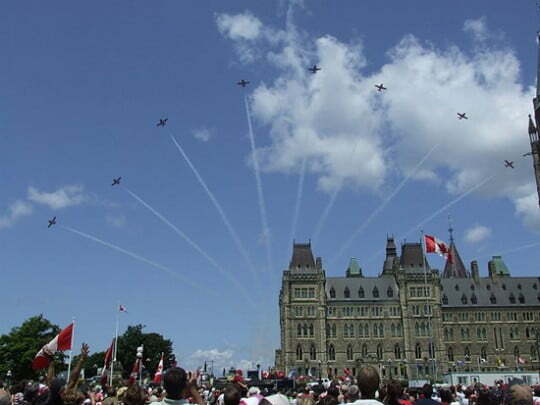 Today, July 1st, is Canada Day north of the 49th parallel, and Monday is our July 4th Independence Day holiday here in the USA. BBQs, beaches, music, fireworks …. Happy holidays to all and best wishes for safe travels and safe celebrations with friends and family! Occasionally a new tangle will emerge while in the process of drawing another one. Such is the case with Yam-it. I confess it was a few false starts before I figured out that Esther’s Step 1 was intended to depict a diamond-shaped grid rather than the more common square grid. Once that penny dropped Yam-it fell into place the way Esther intended. Esther illustrates the step-by-step instructions for drawing Yam-it below and includes a whole variety of ways to fill and shade the tangle for variation. Her last variation looks like a fun challenge. Happy Holidays to you all in the Northern parts of our Earth! 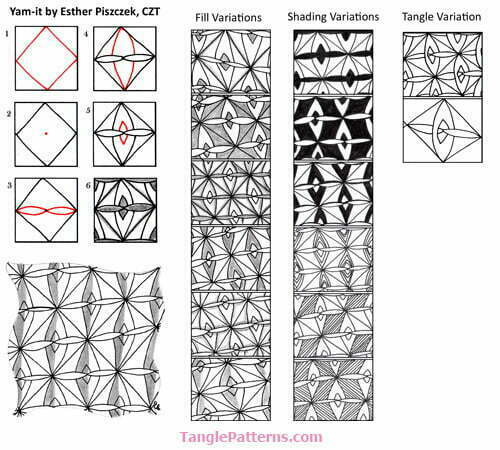 This pattern today, definitely “does it for me” so I shall be playing with it all this weekend, I can tell! Thanks Esther and Linda for sharing ! Linda, enjoy the Tour de France too……we also watch it avidly from beginning to end, Maurie for the bikes and riders, me for all the glimpses of France and any other country which appears so fleetingly as the riders fly by ! Thanks, Sue. Robert and I have our croissants at the ready for the start or the Tour! Looking forward to another amazing journey through France … nice to know you’re going to be watching it too. Cheers! wow! I was so surprised to see my name given to a tangle. I’m happy to read that my tangle is used and was inspiring to creat a new tangle. Thank you Esther so much! Love this pattern. Many thanks for sharing and keep up with the good work.